Photo from Bryant’s Twitter @KBSeattleStorm. 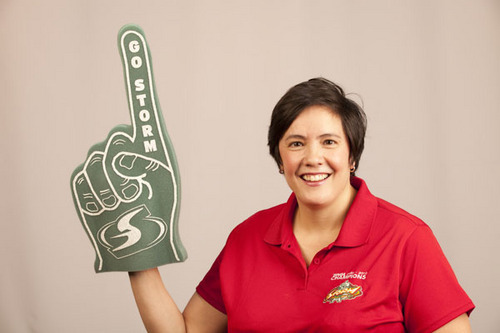 Karen Bryant (B.A., 1991) has been there since the beginning, helping pioneer women’s basketball as a local Seattleite and overlooking the Storm as they brought home two WNBA national championships. As CEO and President of the Seattle Storm, Bryant has had a job now for 17 years that she couldn’t even have dreamt of having as a little girl, simply because it didn’t exist. Although she played many sports growing up, Bryant’s love for the game of basketball exceeded the rest. Beginning her playing career at a community college and later at Seattle University, Bryant transferred to the UW, playing Division I and drawing big crowds to Hec Edmundson Pavilion. In hopes of combining her love of the game and ambitions for a career, after graduation Bryant began a job in project management for an architecture firm where she learned valuable business skills, but soon after made her dreams a reality. “I think what really came through was that I had played the game my whole life, I grew up here, I knew people in the basketball community…and my name just kept coming up,” Bryant said. While also coaching high school and Amateur Athletic Union (AAU) girls teams, Bryant was recruited as a volunteer for the American Basketball League’s Seattle Reign, the women’s pro league that preceded the WNBA, to hang flyers in gyms and use her reputation to help spread the word. And the rest is history. Bryant was hired on as the director of operations for the league in 1996, where she later served as general manager, and in 1999 was recruited by the Seattle SuperSonics to lead the organization’s effort to secure a WNBA expansion franchise. In 2008, the Seattle Storm became an independent organization, naming Bryant chief executive officer. Still trying to figure out how to position women’s basketball as a viable and profitable business, Bryant oversees both the business side of the organization and the basketball side, while being the main person of contact to the owners and the go-to spokesperson. While every day is different, Bryant and her team have four constant goals: win championships, be profitable, be active in the community, and to foster a really collaborative and learning environment for their employees. Although welcoming a daughter into the world almost five years ago has forced Bryant to reprioritize some aspects of her life, she said this is not a career to her, it’s a lifestyle. 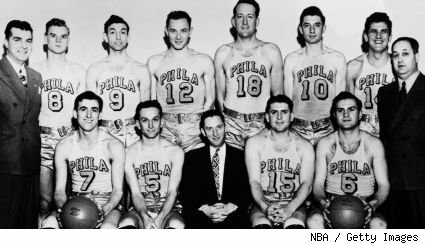 1946: The NBA was founded. 1996: Fifty years later on April 24, the WNBA was established by the NBA. Teams: Charlotte Sting, Cleveland Rockers, Houston Comets, Los Angeles Sparks, New York Liberty, Phoenix Mercury, Sacramento Monarchs, Utah Starzz. 1999: On June 7, the WNBA selected four more teams to be added to the league, bringing the total to 16, but calls for a ticket pledge of 5,500 season ticket holders by October. Ten days later, Full House Sports and Entertainment names Karen Bryant as the Senior Director of WNBA Operations. On October 15, Seattle announced that it secured 7,200 deposits, 1,700 more than necessary, to meet the requirement and they were officially announced as a new team on Octobe r 22. 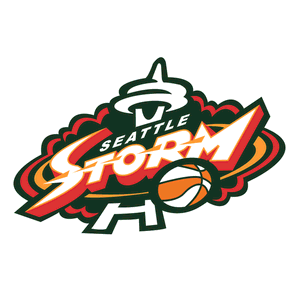 2000: Seattle announces that they will be called the Storm in January and the unveiled their logo a couple weeks later. 2002: Starting with a couple rough seasons, the Storm made the playoffs for the first time with rookie Sue Bird. 2004: The Storm won their first championship after five seasons, with Coach Anne Donovan becoming the first female coach on a WNBA Champion. They also became the first major professional sports team in Seattle to bring home a championship in 25 years. 2008: The Seattle Storm became an independent organization, upon the relocation of the SuperSonics. Three local businesswomen, Force 10 Hoops, stepped forward to purchase the Storm so that the team would remain in Seattle, becoming one of six independently owned franchises in the WNBA. The same year, Bryant was named the Storm’s chief executive officer. 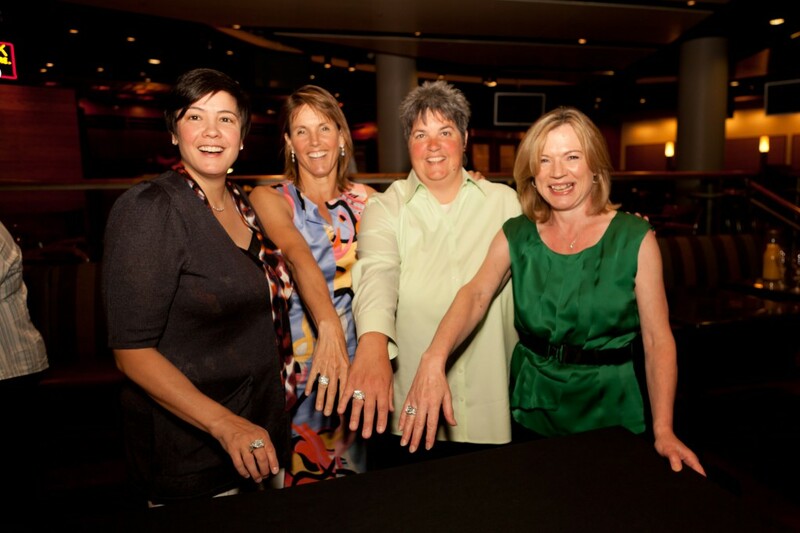 Karen Bryant, CEO; Ginny Gilder, Lisa Brummel, and Dawn Trudeau, Owners (Force 10 Hoops) featured on Forbes.com. 2010: The Storm clenched their second championship. 2012: The Minnesota Lynx narrowly won the deciding third game in the Western Conference Semifinals to knock the Storm out of the running with a 73 to 72 win. 2013: What’s next for the Storm? They start their 2013 season on May 26 in Los Angeles, unfortunately without star player Sue Bird who will be out for the season due to knee surgery.